I haven’t gone into who Louis Zuflacht was yet. Even the Indispensable Walter Grutchfield does not mention him. However, the blogger called Brooks of Sheffield did, in his terrific Lost City, which he stopped writing in 2014 ( your webmaster, me, has no life and so FNY will continue ad infinitum). Zufrecht was a long-lived haberdasher (1883-1986) who operated the store beginning about 1940; the sign was commissioned in 1942. Zufrecht’s sons, Jack and Joe, ran the business for a time. Unfortunately, neither Brooks nor I know the precise date the store shut down. I was by in January 2016, which because of the shadows, is the worst possible time to be here to take a picture, as the shadow cuts right across it. 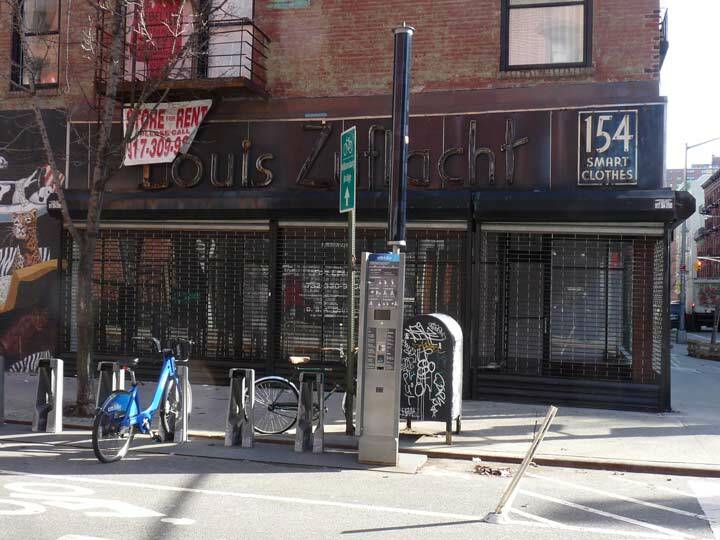 Like me, the Zuflecht sign persists, even as the decades roll on and changes like CitiBike docks pop up beside it, paying it no mind. Renters will come and go — hopefully, one will spend some dough and rewire the sign. “Smart clothes” are no longer worn; everyone except me has cargo shorts and T shirts. On Thanksgiving, we should thank people like the one who kept the sign as is. There are still a few people who recognize the value of interesting things from earlier eras. I am cleaning out some “stuff”. I have a wooden hanger with the advertisement for this store on it. On the two sides LOUIS ZUFLACHT and 160 STANTON ST.,N.Y.C. Do you want it or know where I can send it? 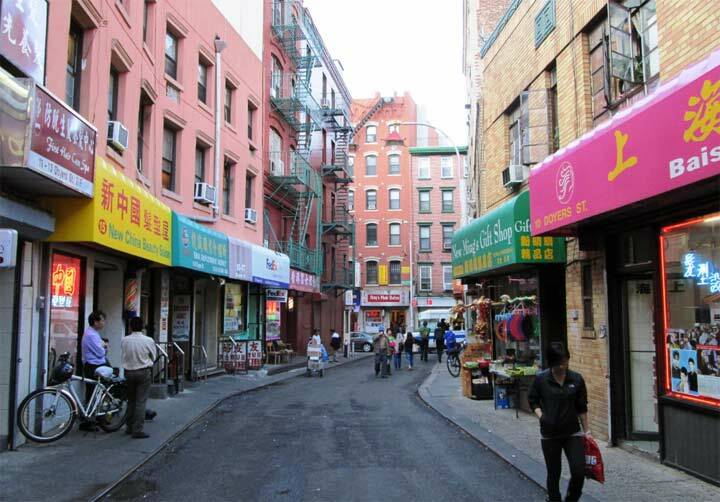 It is so much a part of the NY history! I have a hanger also same as comment above. 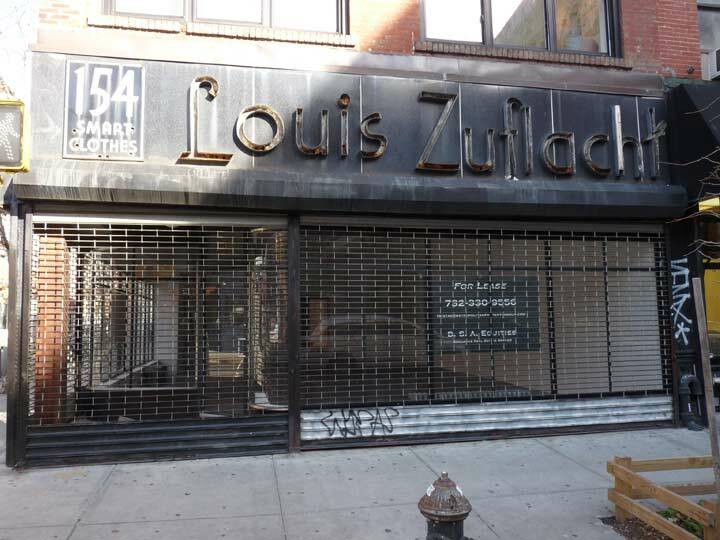 Louis Zuflacht 160 Stanton St. NYC.